NBA Live Mobile Hot Wheels: Race Off WGT Golf NBA Live Mobile Basketball FIFA 16 Ultimate Team Gunship Battle: Helicopter 3D Snowboard Party Lite Golf Star Baseball Boy! Execute jaw dropping tricks in Skateboard Party 3. Upgrade your character and skate across the world. Be creative with your surroundings with combo tricks. Skateboard Party 3 is a brilliant skateboarding simulation in which players get to skate and execute beautiful tricks in a public environment. 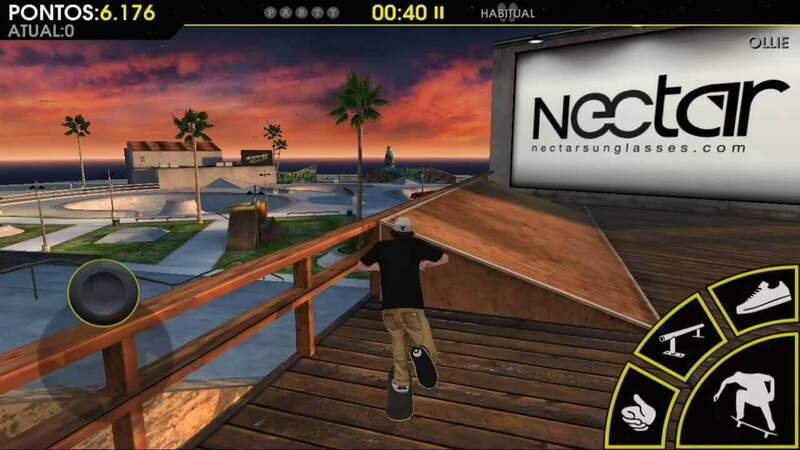 The game features maps from all over the world where you get to show off your skills and build your skateboarding career. You get to start off the game by choosing your favorite character from a total of 16 amazing skaters. Each character has different attributes including speed, balance, ollie and spin. You can upgrade your character’s attributes by earning experience points in the game. Moreover, players can also change their character’s look by choosing a nice outfit for them along with custom skins for their skateboards as well. There are two amazing game modes including a career mode and a freeskate mode. In the career mode, the players get to travel around the world and skate in the most famous spots including Chinatown, San Francisco, Venice Beach and many more. Each location has certain objectives for you to complete like completing tricks, scoring a certain number of points and more. Once you have conquered a location, you can unlock the next more challenging one and continue turning heads with your amazing career. Freeskate mode on the other hand, does not have any time limits and you can execute tricks and score all the objectives without having to worry about the time running out. The game also features a multiplayer mode that can be unlocked with an in-game purchase. Players can compete with opponents from all over the world and the player with the most points at the end of the match wins the game. 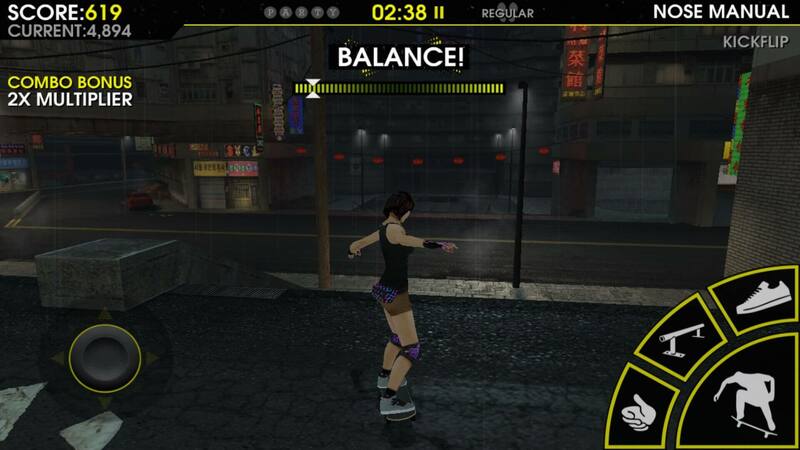 The controls are quite user-friendly to keep up with the fast-paced skateboarding gameplay. You get to use tap controls to accelerate or decelerate your skateboard as well as execute tricks like air flips, holding the board in mid-air, sliding on an edged surface or balancing with an ollie skill. Combinations of tricks can also be executed if timed perfectly. You get to score points with each trick you execute so drop eye-catching skills and steal the show with perfect combos. You also get to unlock variety of achievements in the game that can win you experience points along the way. Moreover, the game also features a global ranking system where you can check out where you stand among players from all over the world. 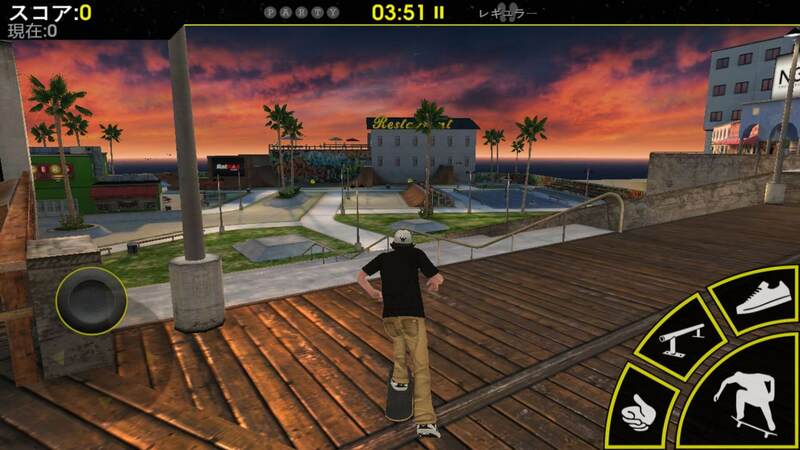 Skateboard Party 3 features some amazing graphics with great detailing of all the beautiful locations in the game. You get to enjoy real life game physics with realistic sound effects that make the gameplay close to reality. Moreover, amazing background tunes also make the gameplay all the more exciting. You can also make purchases in the game for resources including game characters, free experience points, custom skins and rare locations. Amazing discounted offers are available every day for you to avail and get a great value for money with. Become the skateboarding champion and conquer public locations with your jaw dropping tricks and skills. Score the highest points and enter the hall of fame in the global ranking. Unlock cool achievements, upgrade and customize your character and beat the competition in multiplayer mode. Try out Skateboard Party 3 today.